Looking forward to welcoming you all to Pondicherry for the workshop. This space has been created for you to introduce yourself and start sharing your ideas and thoughts about Indian Psychology right away. This forum will be the place where we all come together and build an IP community . This introduction is just the beginning . Also here is the link to the resource section of the website for all those who would like to have a look at it. Do join in and start sharing . My name is Suriyaprakash. I am an alumnus of IPI since 2012. I’m Akhil. I am a research scholar in Indian Institute of Technology Jodhpur. I’m working in the area of contemplative sciences and exploring the implications of mindfulness in the field of Education. Hoping to meet fellow intellectuals. i think i introduced myself in wrong thread!! 😛 Anyhow looking forward to meet you all soon and gain immensely from this experience. I am grateful to the Team IPI for accepting me to participate in this workshop. My name is Vineeta Sood. It is so nice to connect to you all. By the time we meet, we wouls already have known each other to some extent.Thank you friends from IPI for creating this opportunity. I look forward to meeting every one in person. I am super excited to experience something new and meet everyone here!! Also I am looking forward to experietial learning as this course widely offers that! I am sure it will be a beautiful experience. 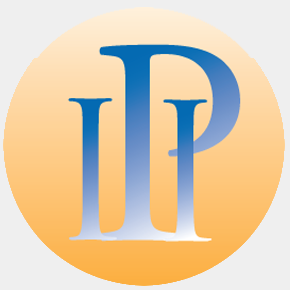 Hi aditi/navni/divya mam……who all are the moderators at ipi blog????? My comments needs approval thr……i read and posted on psychic education topic in one of the older posts.